Franchise Association UK / Blog / Reasons Why Franchise Business Is Perfect For Young Entrepreneurs. Reasons Why Franchise Business Is Perfect For Young Entrepreneurs. Franchising is an excellent option for all types of entrepreneurs, regardless of their age and professional experience. However, it is more common to find middle-aged individuals acquiring, running and owning a franchise business, but that should not stop young people from considering investing in a franchise as a viable entrepreneurial venture that could help them reach their career goals. Franchising offers a number of benefits for the young people who are yet to enter the workforce, especially during these times when the job market is at its slowest. Nowadays, fresh graduates are having a hard time finding appropriate jobs and franchising could be a great alternative to starting your own business. 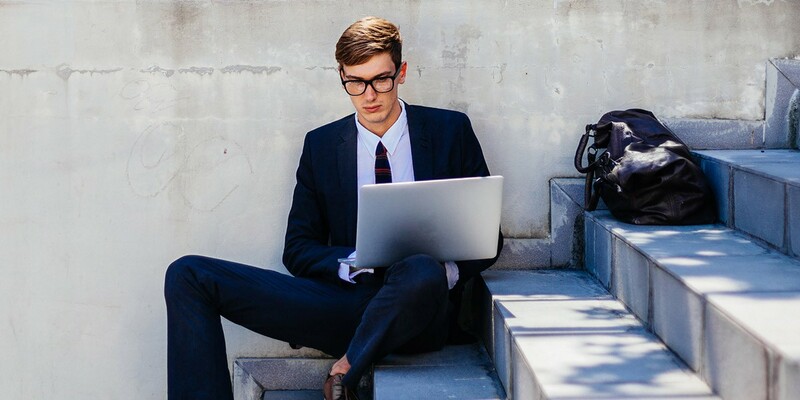 According to the Franchise UK franchises UK experts, a reason why there are not many young people in the franchising world is that millennials generally either wish to join the corporate world or want to establish a startup. Whereas, franchising could be the perfect solution for them as most young people already possess the traits that could make them a successful business person by running their franchise. Young people have a more significant risk appetite, a young and fresh perspective, and many skills that make them great online marketers and franchising can give them the freedom to take risks, reap greater rewards while they work under the wing of a successful business and a recognised brand. According to the experts, following are the few reasons why young entrepreneurs have a better chance of excelling in the franchise business industry. It Allows Them To Gain Experience Of The Business World. As fresh graduates, young entrepreneurs do not possess the business experience, most employers expect them to have from the get-go, by choosing to run their franchise, they can gain valuable entrepreneurial experience of purchasing, managing and owning their own business, which is something a job in the corporate world cannot provide. While running a franchise, they will be responsible for managing and leading all aspects of the business, and there will be the freedom to take strategic decisions and gain firsthand experience of what it is like to be in charge of a business venture. Without the experience of working in the corporate sector, it is unlikely that fresh graduates and young entrepreneurs are familiar with the business systems. Franchising will give them the perfect opportunity to learn business systems through coaching and training provided by the franchisor. Every franchisor wants their franchisee to succeed and therefore provide them with the tools, connections, and training that will help them be successful. They will also have the support and advice if the fellow franchisee community. When a young entrepreneur invests in their own franchise business, they become a part of a more significant business that has already laid the foundations and set the market for the franchisee to further build upon. A franchisee does not have to invest in major marketing activities because the parent company already does it for them. Essential elements such as the business model, business’s best practices, processes, systems, vendor partnerships have already been established, tested and are proven successful. The franchisee can simply follow the process, bring their perspective to the table and follow good ethics to be successful. Compared to the older folks, young entrepreneurs have more time, energy and freedom on their hands, which they can invest in their franchise to make it successful. Most young entrepreneurs who are fresh out of the universities do not have family obligations that could mean they are free to take more risks and give the business more time and attention. They can try out unconventional types of franchises such as home based franchises, van based franchises, which are usually low cost franchises perfect for those who do not have a lot of money to invest in new franchises UK. They have the liberty to learn as they go and pick up information through trial and error. Older folks have a set way of doing things and find it difficult to break the mould to see things in a different perspective, which can limit their growth and success potential, whereas, young people are generally more open, minded, they are more willing to try out new things. They also possess a fresh and sometimes unconventional perspective on business and marketing, which can give them a competitive edge. Young people know how to appeal to a younger audience; they know what is young, buzzing and fashionable, which can allow them to identify niches and markets that middle-aged people might miss. Their valuable ability to use online mediums for marketing the business gives them access to a much wider audience. To find out more about franchising, take a look around our website today. If you need advice about franchising or would like to make an enquiry, please complete the form below to get in touch with Quality Franchise Association UK.